This simple phrase summarizes the primary purpose of this book. Too often importers are overly reliant on their customs broker to manage all of the minute details of the import entry process only to find out later that the regulators hold the importer primarily accountable for any errors the broker makes. Importing into the U.S. is a complex multifaceted process. 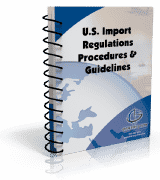 This text delves into the regulatory aspects of the U.S. importing process, specifically the U.S. customs entry. What are the regulations & who are the regulators? Global Training Center’s “Focused Assessment- Preparing for A U.S. Import Audit” was written by John D. Goodrich. Mr. Goodrich is an International Trade Consultant and Licensed Customhouse Broker with more than twenty-five years of experience in international trade. He is currently the principal in the consulting firm of JD Goodrich & Associates where his varied industry experience results in practical, actionable advice for his clients. An active member in the Twin Cities round table of the Council of Supply Chain Management Professionals (CSCMP), he takes a strategic view of the roles of international compliance and logistics in the greater supply chain. Mr. Goodrich is an engaging trainer and speaker on a variety of international logistics and compliance subjects as well as the author and co-author to several other trade books, which are offered here at GTC.